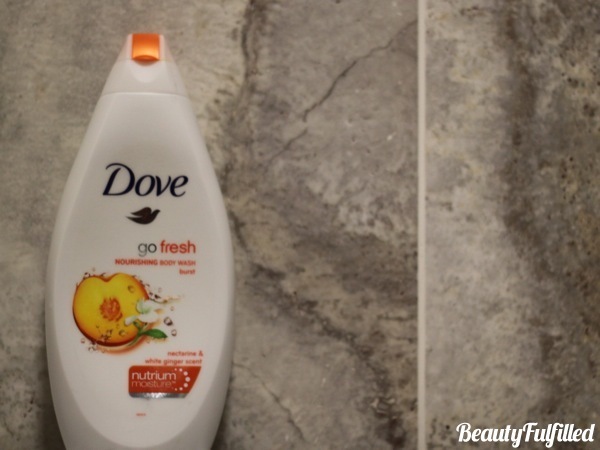 Dove Burst Body Wash £2.29 (currently on offer for £1.14!) available HERE. I can’t quite believe that in the almost 4 years of blogging I haven never mentioned my favourite shower products. I suppose nothing was that great for me to shout about. However, recently I have been using Dove’s Go Fresh range. In particular, I’ve been rinsing (literally) the nectarine and white ginger scent. It’s is BEAU-TEE-FULL! I cannot explain how lovely this leaves my skin feeling. I can almost go without moisturising once I’m out of the shower. And not to forget the scent, it’s beautiful. Although it’s a super summery scent, it’s scrummy indeed. I have now officially finished my second bottle am currently trying the ‘Silk Glow’ option which is still just as beautiful if not more. It’s again super softening on the skin and leaves less of a fruity scent behind. Fits in much better with the colder months. Will I be using these going forward? Hells yes! My skin needs some baby soft lovin’. What body wash are you currently using? Any bottles out there worth shouting about?